The Digitex Futures Exchange is a disruptive, new project that is on a mission to transform Bitcoin futures trading. Our ICO in January this year successfully raised $5.2 million in just 17 minutes. A fantastic start! Since then, our in-house team of professional programmers have been working from our offices in Dublin City Centre to develop the exchange, set to launch in Q4 of 2018. For the first time, traders will be able to make profits from single-digit changes in the prices of cryptocurrencies, without suffering the crippling commissions that normal exchanges charge that make it impossible to profit. And when we say there are zero-commissions on the Digitex Futures Exchange, we mean exactly that. It's not a temporary free trial or a marketing ploy to attract traders and then introduce fees a few months later. ● A secure platform with decentralised accounts. ● No transaction, broker, data, deposit, or withdrawal fees = PROFIT. ● Rapid transaction and settlement times. For more information about development, company news and announcements, be sure to visit our blog. Don't miss out on the exchange revolution of 2018. By using its own native cryptocurrency, called the DGTX token, the exchange covers costs by minting new tokens instead of charging transaction fees on trades. All account balances are held by a decentralized, independent smart contract on the Ethereum blockchain, not by the exchange. Traders on Digitex use Decentralized Governance by Blockchain to determine how many new DGTX tokens to issue and when. What is the DGTX Token for? Why Should I Buy It? The DGTX token is not a 'security" but rather a "utility" token. On the Digitex Futures Exchange users must have the DGTX token, the native currency of the exchange, to speculate on the price of Bitcoin because all profit and loss settlements are done with the user's DGTX balance. Therefore, demand for DGTX tokens will increase significantly when the exchange launches at the end of this year, as thousands of traders who are attracted to zero trading fees start buying DGTX tokens. This presents a buying opportunity for traders who are willing to buy DGTX now at low prices in anticipation of a surge in demand later in the year. 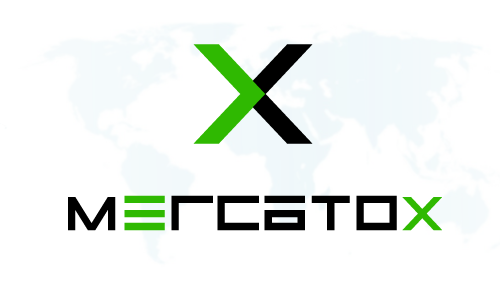 You can buy and sell the DGTX token on the following cryptocurrency exchanges Mercatox. As we gear up for the launch, demand for the DGTX token is expected to grow. In the meantime, join our waiting list to get early access to the Digitex Futures Exchange and be one of the first to trade Bitcoin futures without any trading fees. Signing up gives you early access when we launch our zero-fees exchange!